The Fine and Performing Arts Building plays host to many musical and other productions. What makes a good university? When looking for a university, does one look at the amount of graduating students, the different majors, or the extracurricular activities? Of course, what is important to each student varies, but to administrators all that matters is making money off of their students. Naturally, university officials will support the programs that make the most money for them no matter what it will cost the student in the long run. 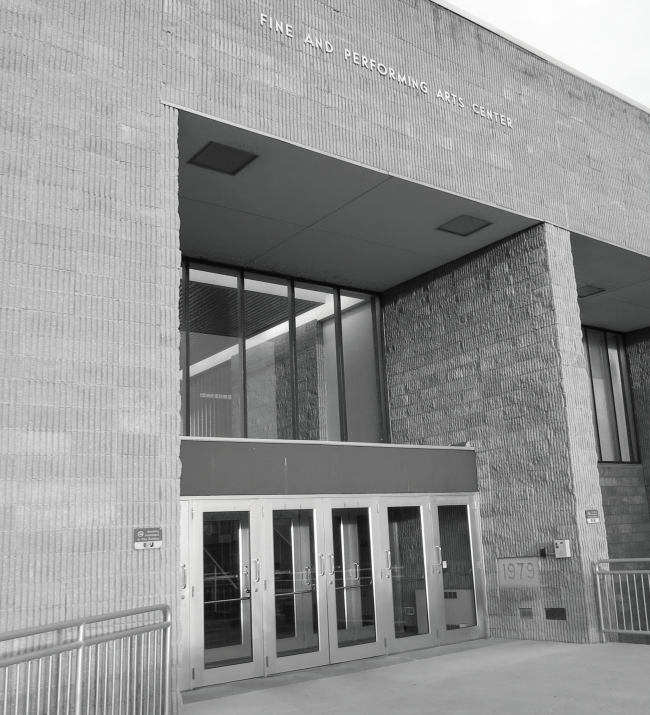 We have all read, witnessed, and learned about the threat of retrenchment that hit ESU hard last fall, and it seems as though the arts and sciences got the greatest hits. Even now, it is said that music teachers are being threatened with retrenchment. Though the arts may not be as much of a moneymaker as, let’s say, football, it is still a valuable contribution to our education. The theatre program alone puts on shows every semester that have drawn crowds from all over. They have always been successful. Our music program is also another fantastic area which does not get enough credit. Everybody flocks to football games, but when it comes to events such as jazz festivals or musicals, only a select few hear about it. Why are students excited to see guys jump on each other, but avoid enriching their musical and cultural experiences at ESU? The stigma that follows students who prefer the arts may be one reason. The stereotype that men cannot be interested in the arts without losing their masculinity is foolish and ignorant. It takes more guts to put your heart and soul on stage than to chase a ball. “You don’t hear about the events because of poor advertising,” says student teacher Katie McClure. Shows and events are poorly advertised, yet everyone knows when there is a football game. Most people did not even know the school had a musical theatre and theatre program or the fact that they put on shows every semester, and yet there is always a line forming outside of the Fine and Performing Arts Building for every musical. That is how important it is to the people in our community, yet the theatre program does not get the recognition that it deserves. It’s time that these talented souls get recognized as much as the people on athletic teams for their hard work and perseverance. So go out and support your talented classmates and gain some cultural enrichment while you are at it. You do not want the sum of your experience at ESU to be all parties and football games, so add something to the equation that will make you a more well-rounded and educated person.